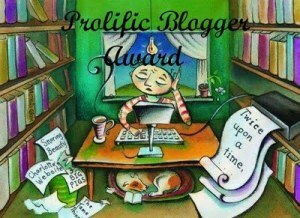 One of my fellow bloggers, Jessica of The Bookworm Chronicles has passed the Prolific Blogger Award on to me. It goes to those bloggers who “read voraciously, blog tirelessly and have made the blogging community such a vibrant place,” according to the creator of the award, Hazra of Advance Booking. I am pleased and surprised to have won my first blogging award, and I feel honored that it comes from one of my most loyal commenters! I do put quite a bit of effort into this, so the recognition feels good. Thanks Jessica! Meghan of Medieval Bookworm. Although she now lives in Britain, I first met her in undergrad. Reading her thoughtful reviews of literary fiction, historical fiction, nonfiction, romance, and more make me wish we’d known each other better then. Debbie of Different Time, Different Place. She’s one of the few book bloggers I’ve stumbled across who predominantly reviews nonfiction. Her reviews give you enough of a taste of the style and content of the book without trying to tell you everything you’ll learn from it. Katie of Read What You Know. She’s a fellow librarian, and her blog reflects her enthusiasm for the ya lit she encounters in her day to day work as a teen librarian. 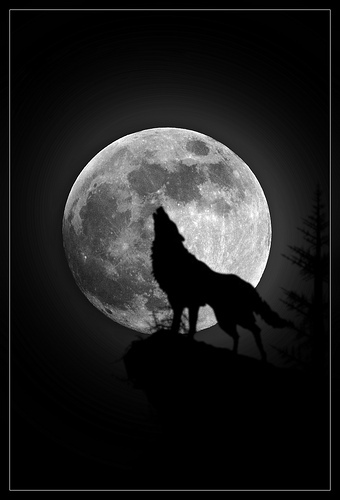 Her reviews take into account the perspective of adult and teen readers of ya lit alike. Ana and Thea of The Book Smugglers. They not only take turns reviewing books, but also do joint posts. I like that in the posts you can see the interaction and learning that comes from sharing a reading experience, plus they’ve added to my scifi tbr pile quite a few times! Nymeth of Things Mean a Lot. She reviews an eclectic mix of books, but my favorite are her reviews of graphic novels. She includes shots of the art, and her reviews were a part of what spurred me on into the very enjoyable graphic novel land. Helgagrace of Title and Statement of Responsibility. Another blogger I know in real life, due to the fact that we’re both Massachusetts librarians. I enjoy sharing reading stats with her. Her reviews read like a conversation, and I’m not just saying that because I’ve actually spoken to her. 😉 She also talks about life and library issues. Last but not least Rob of Books Are Like Candy Corn. He’s based in Hawaii, so his blog is kind of like a tropical vacation for a frozen New England gal like myself. His reading choices broaden my horizon, as he is not only older and at a different stage in his life than most of the book bloggers I read, but also is male. (We are a predominantly female group). It’s kind of odd to me to have the power of bestowing an award, but there you have it! At the very least, if you’re named above, you know I’m a loyal reader of your blog. If the above-named recipients choose to take part in the award, please go check out the rules. If you’re a reader of my blog, but not the type to comment, please let me know if you have your own blog. I’d love to check it out! Of course, lady. How could I not nominate you? Yay, I knew you’d come up with a great list of nominations, I’m having a lot of fun checking them out. Good! They’re fab and totally deserve more readers. Oh wow, thank you so much 😀 I can’t tell you how happy it makes me to hear I’ve inspired you to give graphic novels a try. 😀 You’re welcome! Your graphic novel reviews really are some of the best out there. Most ignore the art, which is a large part of what draws me into them as a different genre.